LovingItVegan.com has a recipe for Tahini Mushroom Sauce that we highly recommend with 2 caveats. 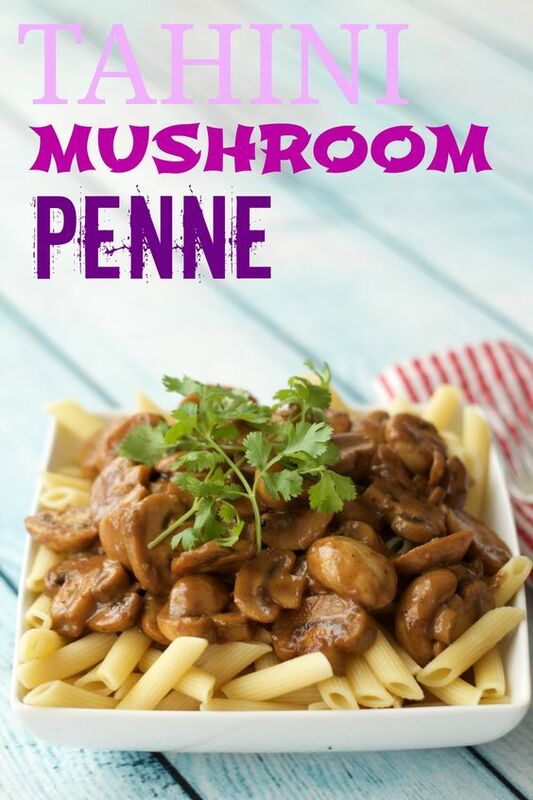 The link is https://lovingitvegan.com/tahini-mushroom-sauce-over-penne/. First, we found it too salty. It calls for soy sauce, and we plan to try it with less next time. We may do a follow up post if we figure out how to get the goodness of the recipe without so much salt, but we only tried it twice, and the first time we only loosely followed the recipe and hoped that the saltiness was because of poor measurement. We discovered the second time that the recipe is just too salty for us. Second, it needs some lemon. This is very easy to fix. We put it on individual servings, but I estimate 1-1½ Tablespoons would be perfect. All in all, we really enjoyed it over noodles even with our complaint about the saltiness.